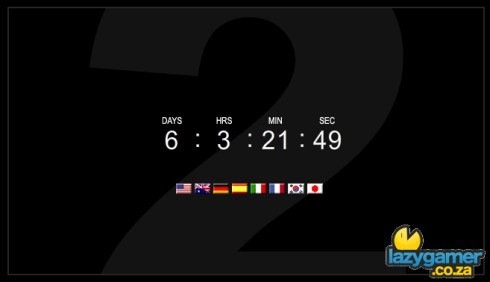 Teaser sites and countdowns are nothing new to the gaming industry and I for one am getting a little bored of them. The latest one can be found at http://www.tu4ar.com/ and is simply a ticking clock with a bunch of flags underneath it. Now the URL means nothing to me and the site itself has nothing in it’s source code that is the least bit interesting but according to GamesAreEvil we are looking at the teaser site for Marvel vs Capcom 2. Well tu4ar apparently stands for â€œTake You For A Rideâ€ which is a song from Marvel vs Capcom 2 and the domain is registered to a Kathleen Alley who lives in Redwood City which is near Capcom. Why that second piece of information means anything is completely beyond me but now you know. Right now I am way to excited about the upcoming Batman and Wolverine games to really care much about this one though, maybe all that will change in the next 6 days though?